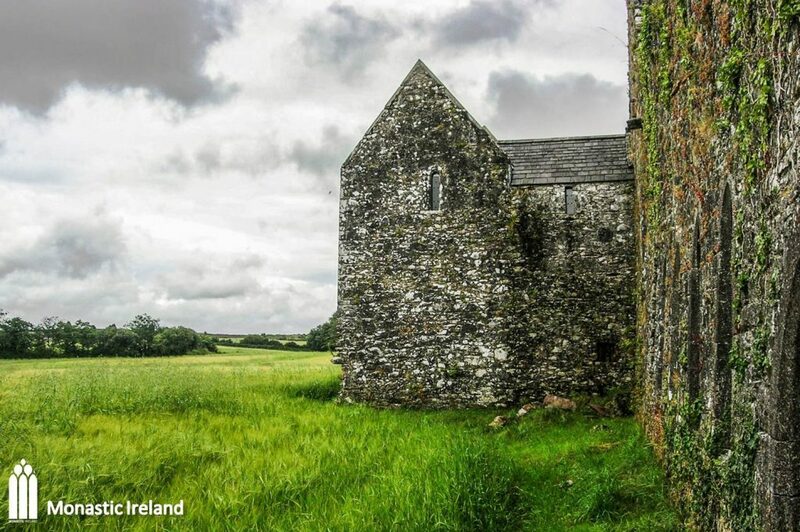 The friary is located in the civil parish of Desertmore, near Ovens, Co. Cork, in an apparently isolated area south of the river Bride. 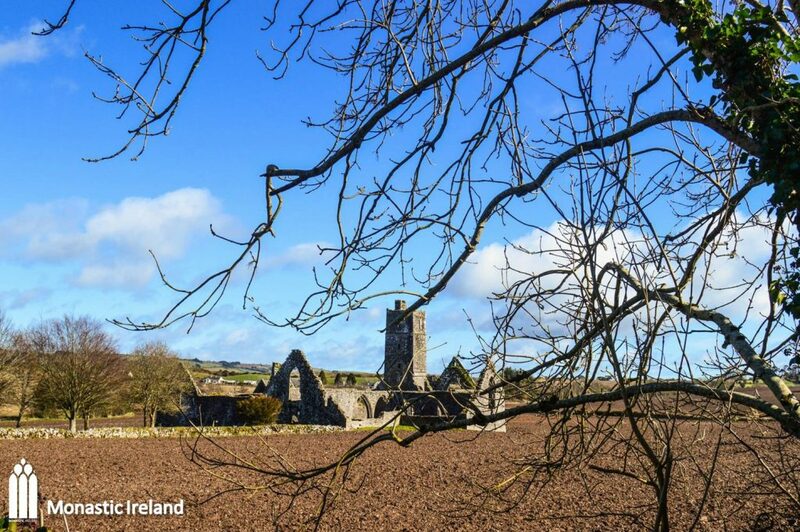 The friary was an early Observant foundation established by Cormac Láidir MacCarthy, lord of Muskerry, in 1465. 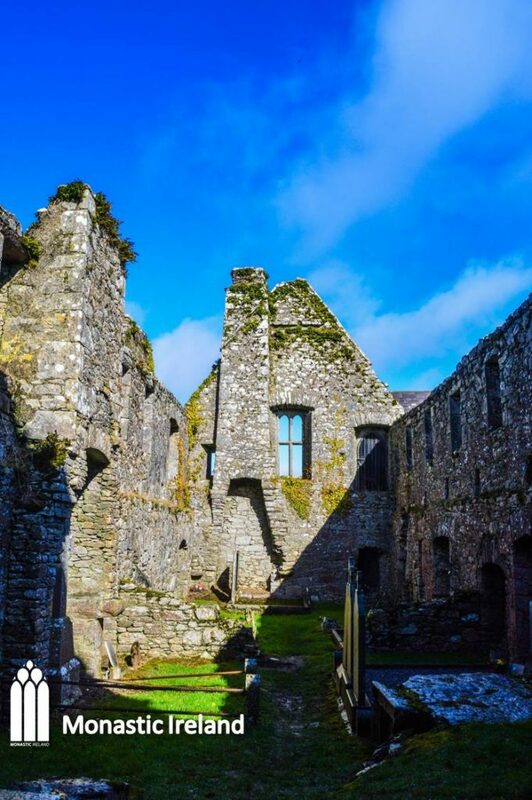 The friary, which survives in its entirety, was named in honour of an early saint, St Créidh (alias Céire), reputed to have founded a nunnery a mile east of the friary in the parish of St Owens, now Ovens. However, this foundation was also dedicated to St Brigid. The site itself is said to have had an ancient ecclesiastical association but apart from the place name there is no trace of an earlier church. 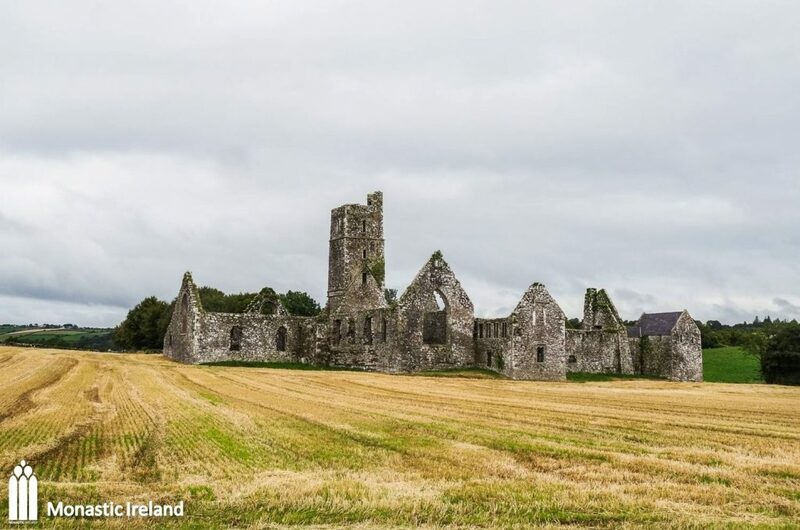 A castle built by Cormac is located about 450m west of the friary, both monuments seemingly aligned to each other. Cormac Láidir MacCarthy (1411-94) was the 6th lord of Muskerry, a lordship located directly to the west of Cork city, an area which largely corresponds to the modern baronies of Muskerry East and Muskerry West. His wife Mary, daughter of Edmund Fitzmaurice, 9th lord of Kerry, provided him with a son, Cormac Óg (1447-1536/7), 9th lord of Muskerry, and a daughter, who married Domhnall MacCarthy (d. 1531), lord of Carbery. 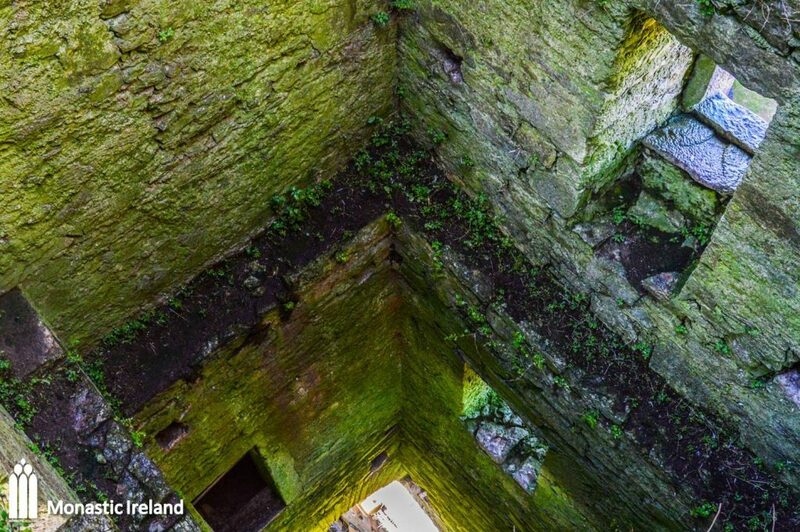 As well as founding the Franciscan friary of Kilcrea, Cormac Láidir also founded an additional five churches, built the donjon of Blarney Castle and the castles of Kilcrea and Ballymaccadan. 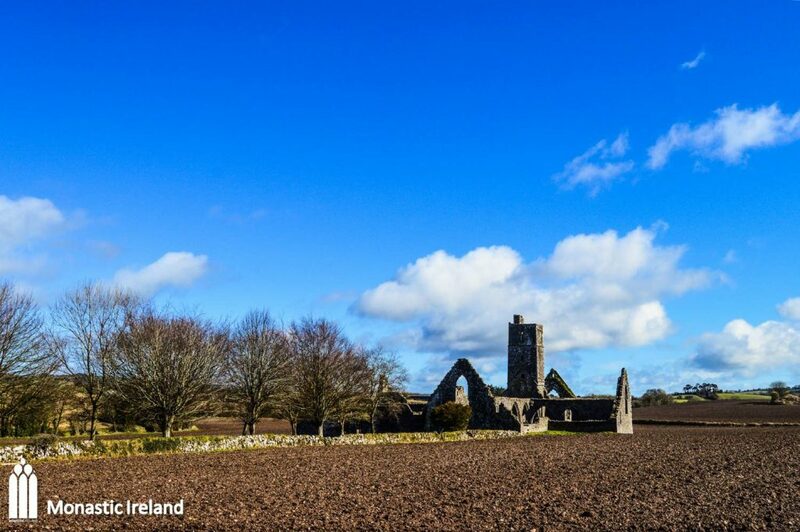 Kilcrea friary was founded on land that Cormac Láidir had recovered from the Anglo-Norman Barret family c.1420. 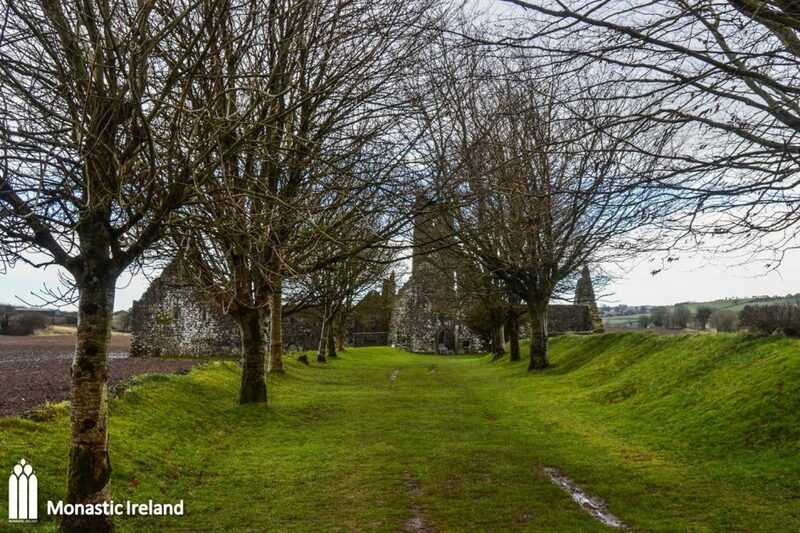 Before the arrival of King Henry II and his followers in 1170, this land, together with the rest of Cormac’s lordship of Muskerry, had formed part of his ancestors’ original lordship, the medieval kingdom of Desmond. The Annals of the Four Masters recorded that Cormac was killed in 1494 by his own brother, Eoghan, and by Eoghan’s sons. 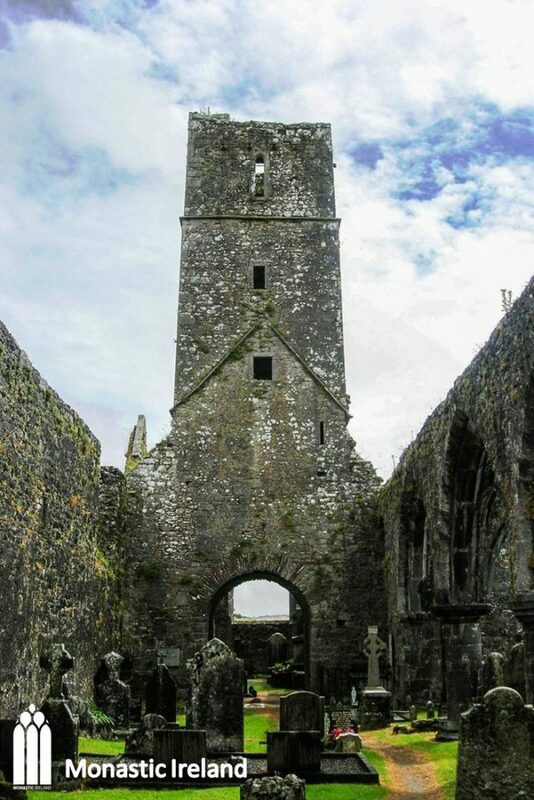 He was buried in Kilcrea friary wearing a Franciscan habit; his burial was located either in the middle of the choir, or to the north side of it. 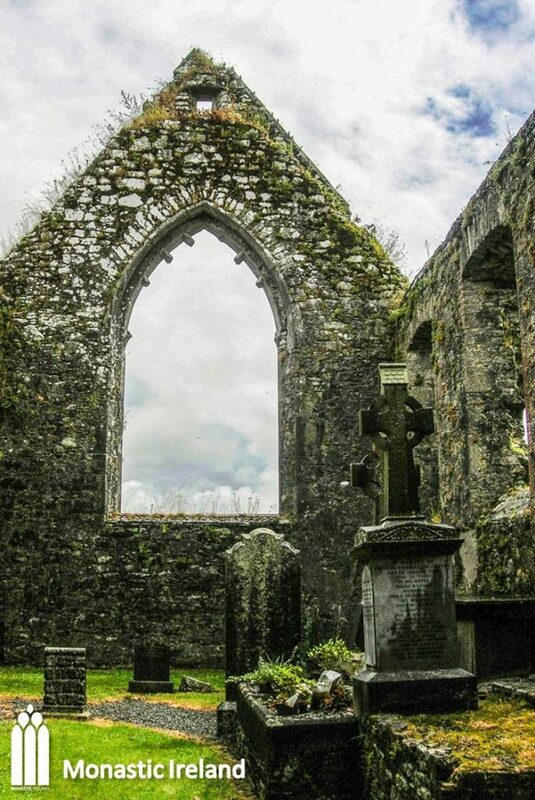 Felim MacCarthy (d. 1588) spent many years in the friary doing penance after murdering his step-brother. He later became an Observant friar and was known for his sanctity. In later life, he was only able to move his thumbs and index fingers, possibly due to arthritis. He was only able to hold the host, which was seen as a reminder of his crime of the shedding innocent blood with a knife. Kilcrea friary is one of the few Franciscan friaries to have survived in its entirety, with the exception of the cloister arcade. 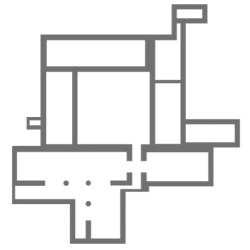 A tour leads from the church and its nave, transept, tower and choir, to the three ranges of the claustral complex, including the sacristy building. Two very interesting features are the latrine buildings, which would have served as the friars and their guests’ bathrooms. These were later additions to the domestic ranges. 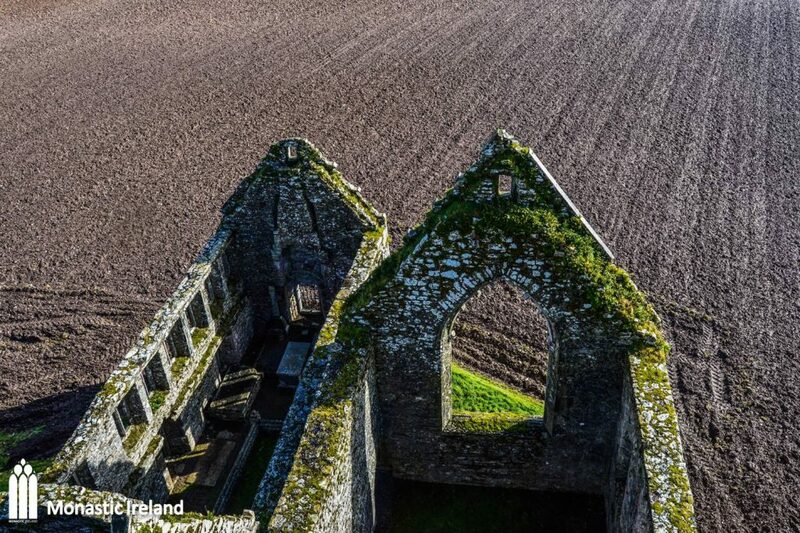 Over the last four centuries, the majority of the friary has been used as burial ground by the local community, with burials dating back to at least the seventeenth century. The extensive number of gravestones and burial monuments are testimony to the enduring spiritual significance of the friary in the area. Among the grave is the tomb of Art Ó Laoghaire (Art O’Leary) who had served in the Hugarian Hussars and who was killed in 1773 following a feud with Abraham Morris, High Sheriff of County Cork. Art’s wife, Eibhlín Dubh Ní Chonaill, an aunt of Daniel O’Connell, composed the lament in Irish Caoineadh Airt Uí Laoghaire that became popular during the twentieth century. 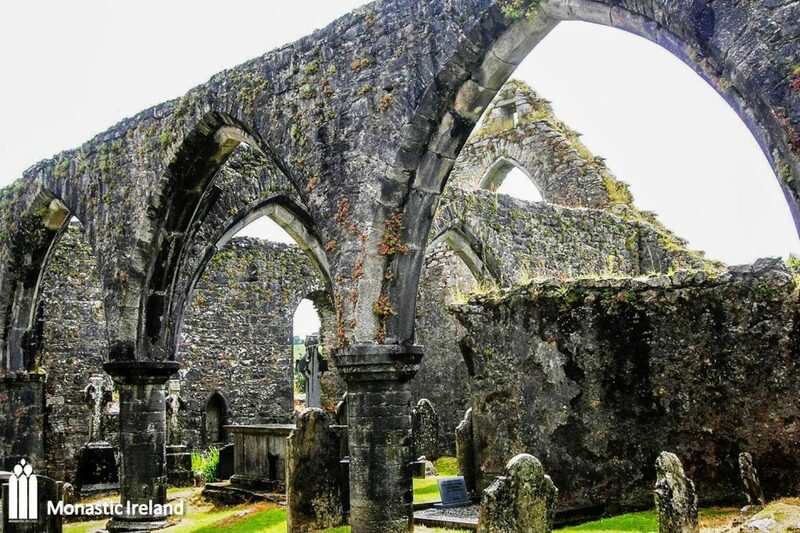 While the friary stands devoid of any decoration, the records tell us that it was once very different. The friary is known to have had a magnificent rood cross, embellished with gold and silver, hanging from the tower in the church. This was destroyed in 1584 when the church was plundered by English soldiers. A manuscript, now in Rennes, France, was composed in the friary in 1475. The manuscript contains preaching material written in Irish, as well as the Irish translation of the fourteenth-century travels of Sir John Mandeville, which describe his journey to the Holy Land and his encounters with exotic creatures. There was also descriptions of the stained glass, painted walls and religious silver, none of which have survived. 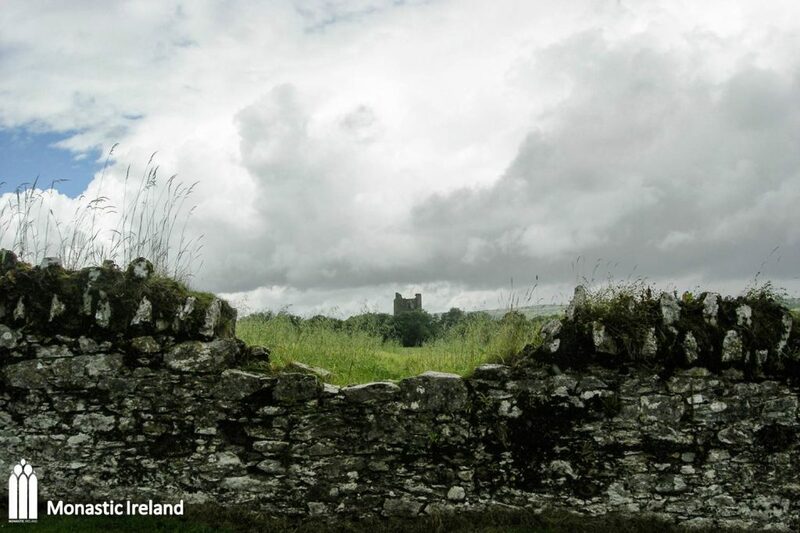 1614: The friars had enjoyed the protection of the Lords of Muskerry until they were forcibly evicted by Cormac MacDermott, Lord Muskerry in 1614. 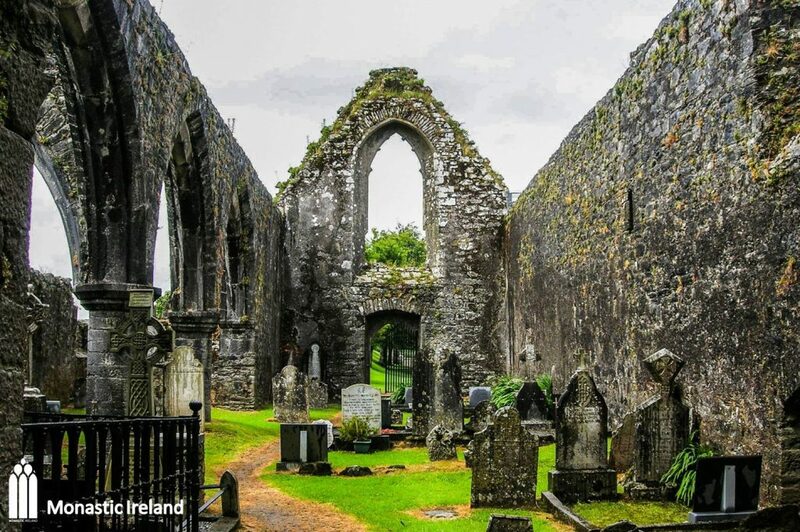 Muskerry had bound himself legally to prevent the friars from occupying the friary, which he had kept in good repair due to its function as his family burial ground. 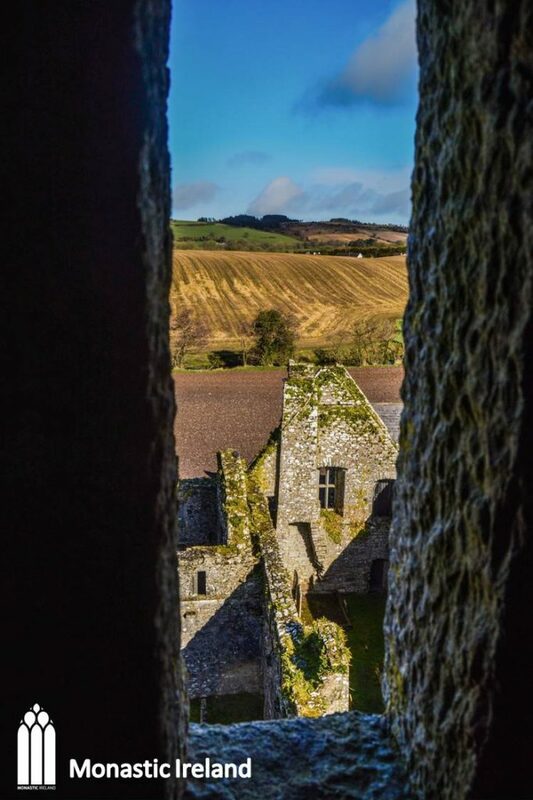 1616: Donatus Mooney wrote that the friars could not live in the friary due to persecution and wars, but that there were still four friars in the vicinity. He recorded that the friary had once contained wall paintings.